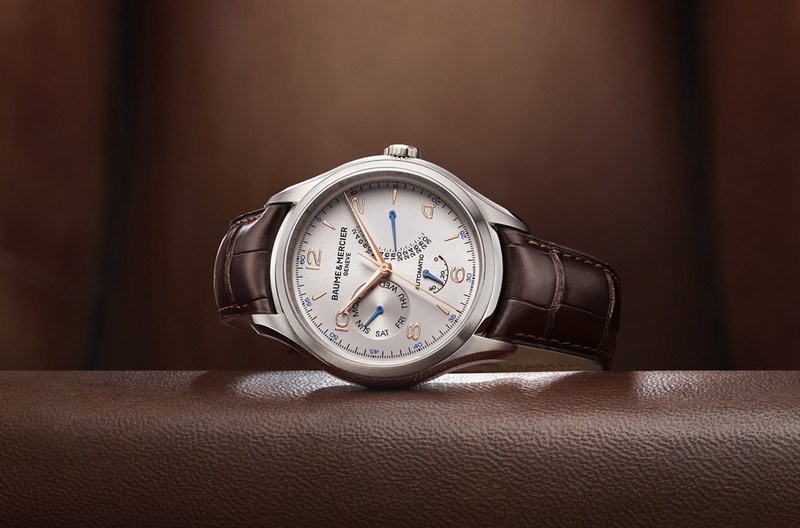 Baume & Mercier added a new chronograph, and even a tourbillon model to their Clifton collection this year at SIHH, but it was the new Clifton Retrograde model that caught our eye the most. The polished rose gold hour markers; as well as hour, minute and second hands — on a sun satin-finish silver dial — is really attractive. Furthermore, the blued hands of the subsidiary day, date and power reserve indications, add to the overall good aesthetics while also helping to differentiate from the primary time indications. 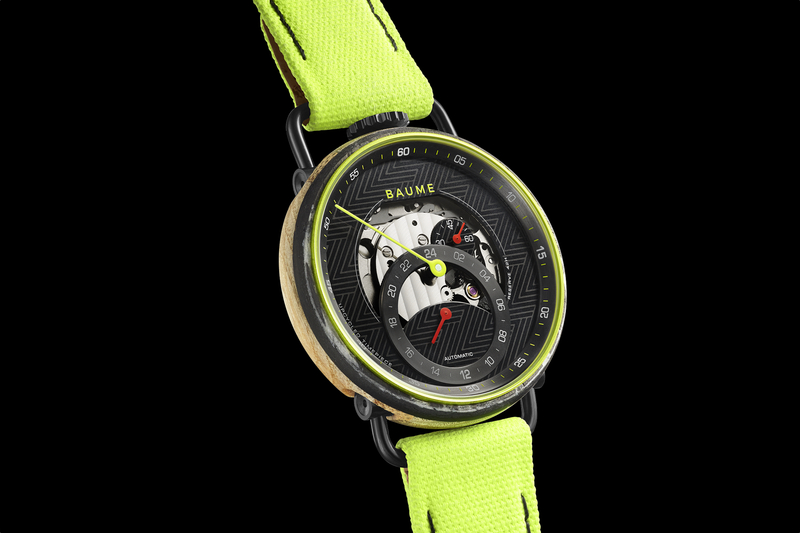 The case is stainless steel and measures 43 mm in diameter by 12.05 mm thick, and features both polished and satin-finished surfaces. An anti-glare sapphire crystal protects the dial, with a sapphire caseback secured by 4 screws. 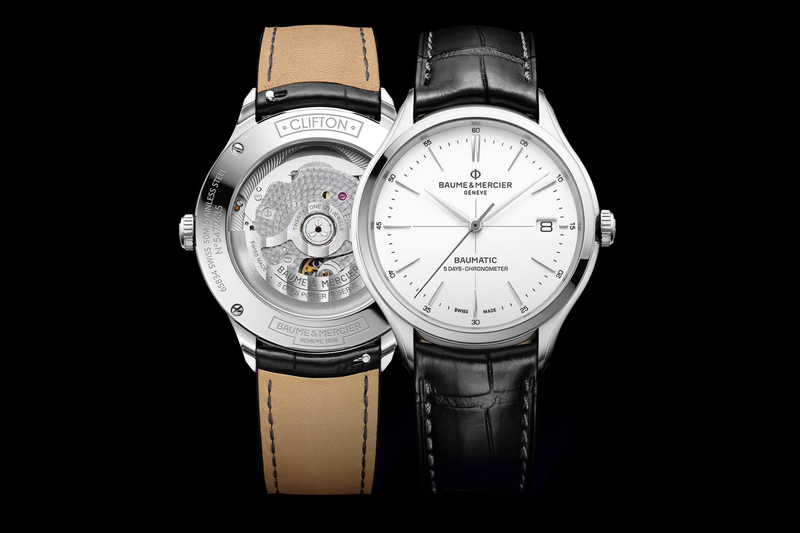 Powering the Clifton Retrograde model is a Soprod 9094 caliber, which can be seen through a sapphire caseback. The movement features typical Swiss finishing including perlage on the mainplate and bridges and oscillating weight decorated with a combination of snailing and Côtes de Genève finishing. The automatic caliber runs at 4Hz, has 30 jewels and a 42-hour power reserve. Functions include hours, minutes and second which are all indicated by central hands. At 9 o’clock is the subsidiary dial that indicates the day, at 6 o’clock in the power reserve indicator, and at 3 o’clock is the retrograde date indication. All functions are adjusted via the crown. 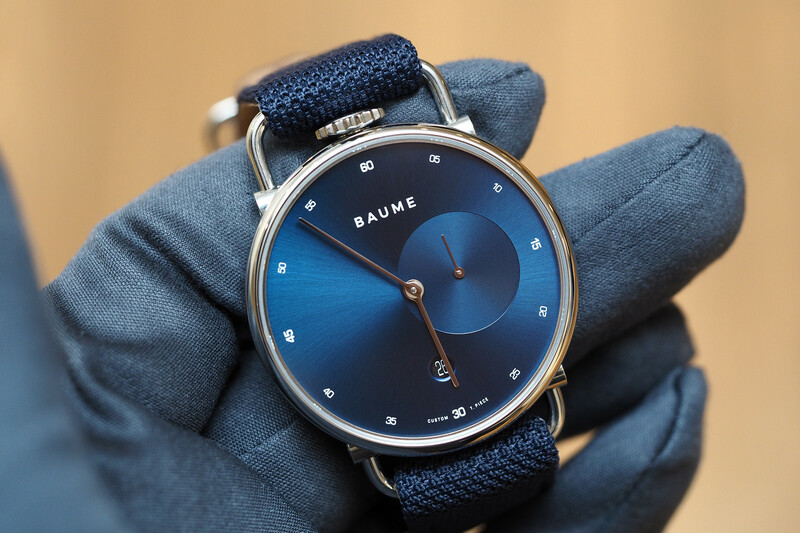 A Baume with a 120-Hour Power Reserve?